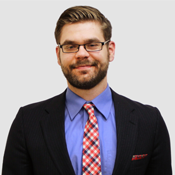 Will Rinehart is Director of Technology and Innovation Policy at the American Action Forum, where he specializes in telecommunication, Internet, and data policy, with a focus on emerging technologies and innovation. Rinehart previously worked at TechFreedom, where he was a Research Fellow. He was also previously the Director of Operations at the International Center for Law & Economics. After reading LM Sacasas’ recent piece on moral communities, I couldn’t help but wonder if the piece was written in the esoteric mode. Let me explain by some meandering. Contemporary tech criticism displays an anti-nostalgia. Instead of being reverent for the past, anxiety about the future abounds. In these visions, the future is imagined as a strange, foreign land, beset with problems. And yet, to quote that old adage, tomorrow is the visitor that is always coming but never arrives. The future never arrives because we are assembling it today. Is There a Kill Zone in Tech? Facebook commissioned a study by consultant Oliver Wyman that concluded that venture investment in the technology sector wasn’t lower than in other sectors, which led Wyman to conclude that there was no kill zone. But economist Ian Hathaway noted that looking at the overall technology industry was too broad. Examining three specific industry categories — internet retail, internet software and social/platform software, corresponding to the industries dominated by Amazon, Google and Facebook, respectively — Hathaway found that initial venture-capital financings have declined by much more in the past few years than in comparable industries. That suggests the kill zone is real. A recent paper by economists Wen Wen and Feng Zhu reaches a similar conclusion. Observing that Google has tended to follow Apple in deciding which mobile-app markets to enter, they assessed whether the threat of potential entry by Google (as measured by Apple’s actions) deters innovation by startups making apps for Google’s Android platform. They conclude that when the threat of the platform owner’s entry is higher, fewer app makers will be interested in offering a product for that particular niche. A 2014 paper by the same authors found similar results for Amazon and third-party merchants using its platform. To read Cathy O’Neil’s Weapons of Math Destruction (2016) is to experience another in a line of progressive pugilists of the technological age. Where Tim Wu took on the future of the Internet and Evgeny Morozov chided online slactivism, O’Neil takes on algorithms, or what she has dubbed weapons of math destruction (WMD). Big Data has plenty of evangelists, but I’m not one of them. This book will focus sharply in the other direction, on the damage inflicted by WMDs and the injustice they perpetuate. We will explore harmful examples that affect people at critical life moments: going to college, borrowing money, getting sentenced to prison, or finding and holding a job. All of these life domains are increasingly controlled by secret models wielding arbitrary punishments. Should The New NPR Poll On Rural America Make You Reconsider Your View of Rural Broadband Development? Many are understandably pessimistic about platforms and technology. This year has been a tough one, from Cambridge Analytica and Russian trolls to the implementation of GDPR and data breaches galore. Those who think about the world, about the problems that we see every day, and about their own place in it, will quickly realize the immense frailty of humankind. Fear and worry makes sense. We are flawed, each one of us. And technology only seems to exacerbate those problems.